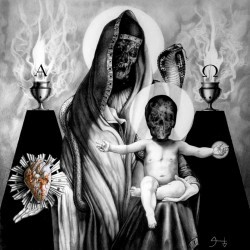 SDavid S. Herrerias is a self-taught artist involved in occultism and alchemy born in Mexico city in 1982. Part of his work approach is to enter consciously in communication with higher spheres through an inner alchemical process in order manifest them in some of his works, yet, he is still working in this process. David´s work have been exhibited in Murmurs from Beyond the Grave in L.A. in 2014. 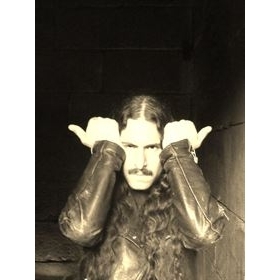 Some of his paintings and drawings have also been featured in music releases as album covers and illustrations and two of his automatic drawings were released together with the swedish debut poem "Pakt" by Avgrund publishers. He moved to Sweden in the winter of 2006 and he is currently living and studying in Gothenburg.